To know where we stand, we must remember where we came from. The media howls at President Trump, and sneers at his supporters. But that is the pain from not seeing the train coming -- and still 50 weeks later, not being wise enough to learn from their mistake. As Glenn Reynolds said: "Our ruling class, still clueless." So let us go back and revisit where they went wrong. A year ago today, Nate Silver gave Donald Trump less than a 14% chance of winning -- two weeks before the election. His prediction was 338 Electoral College votes for her, 198 for Trump. Silver saw her taking all of Obama's 2012 states, plus Arizona and North Carolina. Michigan? Michigan! Don't make me laugh. He gave Trump an 8% chance in Michigan. Democrats would take the Senate. And Silver was the cautious one. He wrote: "Election Update: Why Our Model Is More Bullish Than Others On Trump." This was all based on polls. People are numbers. Later, when the polls failed them, they said the polls were in the "margin of error." The margin of error for one poll of 1,000 people is 4%. The margin of error for a hundred polls of 1,000 people is infinitesimal. Or should be. If the polls are any good. Also, the media's arrogance and vanity told them they -- excuse me, she -- was a shoo-in. Reporters and editors thought they could control the election. 243 newspapers endorsed her, 20 endorsed him. Conservative newspapers -- or those that once were -- endorsed her. 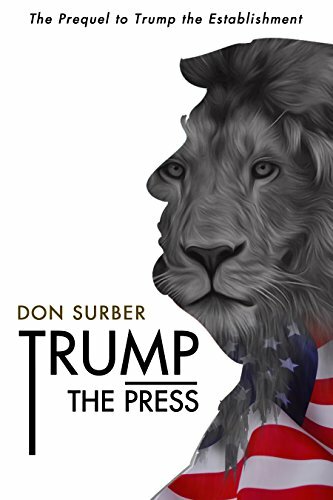 The media believed in the power of the press. It was a mirage. Chris Cillizza wrote in the Washington Post: "Donald Trump's chances of winning are approaching zero." And Ben Schreckinger of Politico wrote: "With two weeks to go, Donald Trump's path to an election night win is almost entirely closed." Two weeks out, Obama ran a victory lap. Julie Hirschfeld Davis wrote in the New York Times: "For Republicans Abandoning Donald Trump, Obama Has a Message: ‘Too Late’." Ha ha ha. Obama was rubbing Trump's nose. Right? From Business Insider: "The GOP must do something about the conservative media industrial complex if it wants to survive." New Podesta Email Exposes Playbook For Rigging Polls Through "Oversamples"
Of course, while Democrats may enjoy a slight registration advantage of a couple of points, it is nowhere near the 9 points reflected in this latest poll. Meanwhile, we also pointed out that with huge variances in preference across demographics one can easily "rig" a poll by over indexing to one group vs. another. As a quick example, the ABC / WaPo poll found that Hillary enjoys a 79-point advantage over Trump with black voters. Therefore, even a small "oversample" of black voters of 5% could swing the overall poll by 3 full points. Moreover, the pollsters don't provide data on the demographic mix of their polls which makes it impossible to "fact check" the bias...convenient. All the reporters and pundits had to do was look at Wikileaks. The DNC's plan was out there. You think the Trump campaign ignored Wikileaks, and did not read what was there? Oh and Comey. What about him? He revived the 33,000 missing emails 10 days before the election. Knowing now that he used the FBI to exonerate Hillary and her corrupt cronies, we also know why he revived the issue: to exonerate her again. This was a prophylactic leak. The Hillary camp did not want Trump raising the issue in an October surprise. The fear was FBI agents would leak this story to Trump. Much of the press -- not all -- spent the election working to elect Hillary. Post-election, these same phonies continue their doomed quest to usurp him. All they need is one more false rumor -- one more joke taken literally -- one more quote taken out of context -- and then he will fall. And the media plays up the protests, but the resistance is futile. Just as limp as the press. All the press has is its credibility -- and it shredded that. A Politico poll found only 37% of Americans believe the press does not fabricate stories that make Trump look bad. What happens if there is a scandal? Who will believe these boys who called wolf? Who mourns for Media? Not one. Not giving Trump a honeymoon proved to be very expensive. The marks are no longer suckers for media flim-flam. Commenting on attempts by the media and others to go into the heartland, only to discover the Trump voters are smarter than the average bear, Reynolds wrote: "See, that’s their real problem. The rubes have wised up." One of my sons went to all of Trump's rallies in Michigan. At the last one in Grand Rapids a fellow told him that there were more people in line to get in than showed up at President Ford's funeral. If it was that obvious someone in the press should have noticed. Then every last one of them waits until the wee hours of the morning listening to guys like Ted Nugent to wait for Trump to show up. On the Manafort/Podesta thing: I can't help but be sceptical. Sure, I want it to be true. But I can't help thinking that Mueller hasn't just thrown us a bone to take any heat off his investigation and breathe more life into an otherwise dying fishing expedition. I do believe that's it. It's why Trump allowed it in the first place. He knew they'd find less than nothing. Don, it seems to me that this view of the media is misleading and overly optimistic. Call me cynical, but I think it's much worse than mere failure to learn from past mistakes; I think it's a fundamental change in how they view their job as a "journalist." I believe they see themselves as cheerleaders of the NWO. If that entails lying to the "rubes" to bring about their global empire, then lie with every breath you take, every poll you conduct, every word you write. Deceive the masses, brainwash them, and if that doesn't work, skewer them, mock them, belittle them, and marginalize them. In short, do EVERYTHING you can for your agenda, even it's illegal. After all, the end ALWAYS justifies the means with these fools. Of course, I could be wrong. . . .
You have many reasons to be cynical (the number being the number of words, no, the number of letters used to spell those words printed in the NYT daily), but I would say you are clear-eyed. Yes, you COULD be wrong, but my money's on you being right. I'm so glad you included the links to those pieces from a year ago, Don; reading them (love those Chris Cillizza's exclamation points!) warms the cockles of my heart. I always thought the internet would be a game changer for the media monopoly. It took longer than expected to make a sizable dent in it, but there is still a long way to go. Don and your cohorts are making a difference. Interesting take of yours on Comey reopening the issue of Hillary's secret server just before the election. It hadn't occurred to me that it was a clumsy attempt by Comey to exonerate her, but it all fits now that we are certain the fix was in from Day 0, given new information about Comey having prepared his report of her "innocence" months before the fraudent investigation was finished. She claims this move by Comey contributed to her election loss. That claim doesn't pass the smell test. Your version does. It smells like a rose. Media never learns. They're hawking Alabama polls that show Moore and the Dem opponent neck and neck. Of course, they over sampled Dems and undersampled independents until they got that result. Unless a man pisses blue, that's kind of an oxymoron. City slickers always think they're SMARTER than the Hicks in the Sticks. It takes a LOT of beatings to disabuse them of that belief.